Singapore is not a very big scene and not very well known yet, few bands have emerged from that scene gaining international acceptance to mention some of those bands that were born in the nineties are Impiety and Rudra, followed by brutal death metallers Flesh Disgorge at the beginning of the millennium and during the middle of that decade by black metallers Draconis Infernum, grindcore masters Wormrot and finally black death metallers Infernal Execrator, who are releasing their second full length record titled "Obsolete Ordinance" a demon that invokes the ancient Morbid Angel. Infernal Execrator have been active for the last thirteen years releasing some recordings, a demo, two EP's, four split albums, a full-length album and a live album, quite a lot for a small scene and now with its second full-length album, Infernal Execrator comes to reclaim its place in the international scene, Infernal Execrator is formed by four individuals who have chosen pseudonyms to be identified, as bass player is Kommando Antichristo, as drummer is Christslaughter, as rhythm guitarists Halphas D. Nihilist and finally as lead guitarist and vocalist Lord Ashir, the style of the band falls completely in Black metal with Death tones accompanied by aggressive vocals addressing messages of anti-religion, hate and worship, so do not expect any kind of mercy from them. "Obsolete Ordinance" opens with some kind of mystical, ritualistic and demonic intro, it possesses such huge aggressiveness from the beginning with "Infernal Execrator" (True Blasphemour Conqueror) which spits a sonic explosion without mercy, the vicious guitars burn out as the track reaches the end, the second track is "Incinerate Halakhah Theorem" it’s vertiginous, fast converging with the direct brutality that characterized the first wave of Black Metal in the early nineties, while "Scions of Irreverent Bloodshed" delivers a blasting drum work by Christslaughter, "Northern Superiority" it’s simply the result of the influence of bands, like Destruction, Venom with simple but brutal guitar riff, and here is where the best part comes, "Quintessence Of Timeless Void" that has a slower pace at moments shifting into madness of heaviness that drives you into hell between this track and "Supreme Barbarous Ordo" reminds me a lot of early Morbid Angel and that is quite enjoyable and will leave you speechless, "Obsolete Ordinance" is a track in the pure vein of Dark Funeral, frantic, fast and inherent for their own identity, the last track is "Absolute Celestial Condemnation" everything here sounds chaotic, the raspy evil vocals are out of this world; A perfect end for a journey into hell. 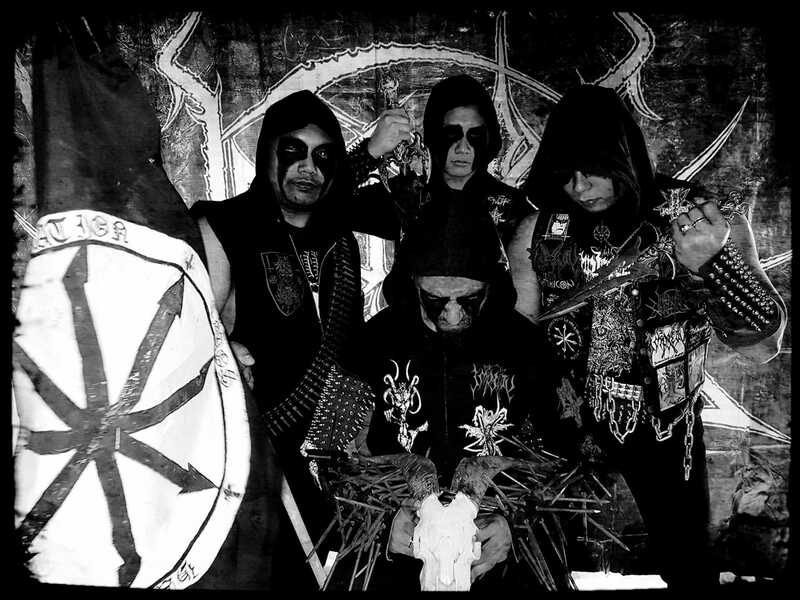 Infernal Execrator surpassed any expectations from even the most demanding and dedicated Black metal followers, hailing from Singapore they are here uncompromised just devoted to promoting and spread their anti-religious thoughts filled with hatred and evil, a band that cannot be ignored!